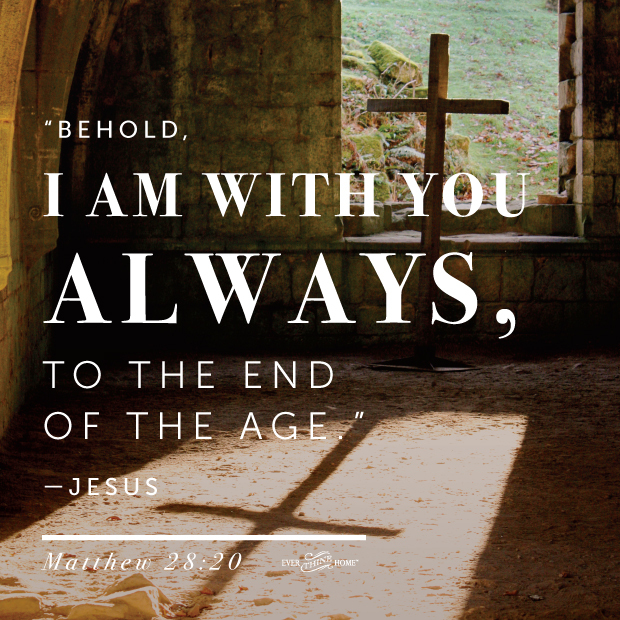 Matthew recorded these words, spoken to His disciples, which includes you and me, as the last words Jesus spoke before ascending back into heaven. How many years has that been? 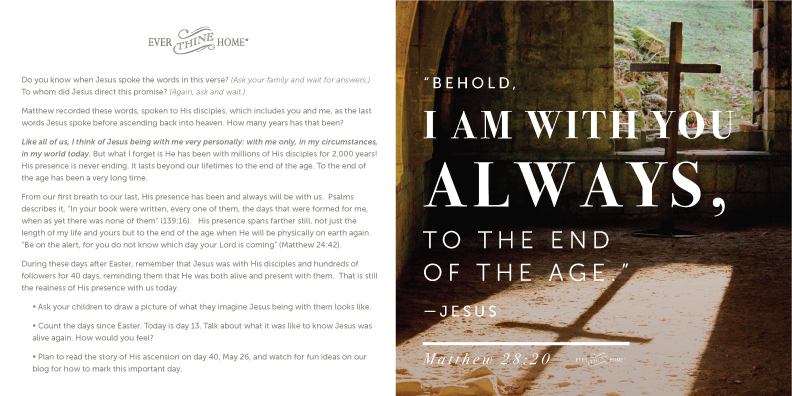 Like all of us, I think of Jesus being with me very personally: with me only, in my circumstances, in my world today. But what I forget is He has been with millions of His disciples for 2,000 years! His presence is never ending. It lasts beyond our lifetimes to the end of the age. To the end of the age has been a very long time. From our first breath to our last, His presence has been and always will be with us. Psalms describes it, “In your book were written, every one of them, the days that were formed for me, when as yet there was none of them” (139:16). His presence spans farther still, not just the length of my life and yours but to the end of the age when He will be physically on earth again. “Be on the alert, for you do not know which day your Lord is coming” (Matthew 24:42). 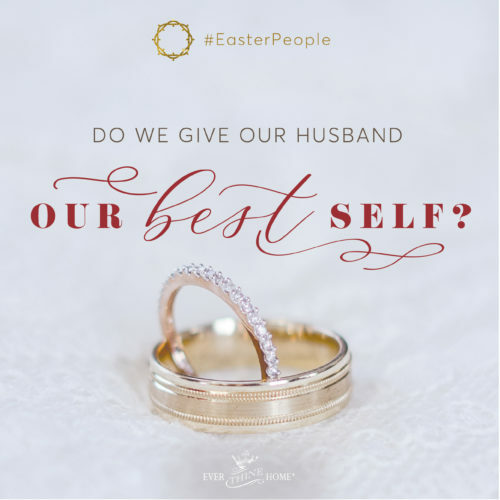 During these days after Easter, remember that Jesus was with His disciples and hundreds of followers for 40 days, reminding them that He was both alive and present with them. That is still the realness of His presence with us today. 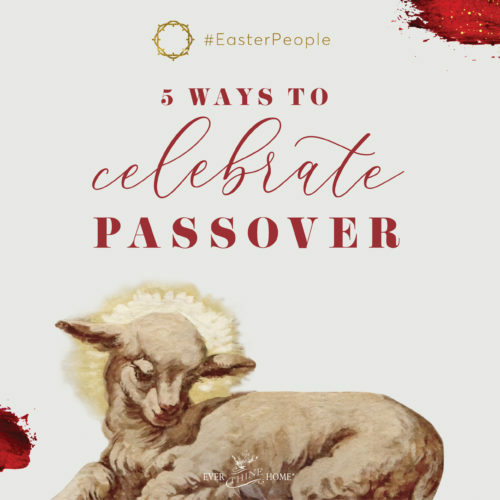 -Ask your children to draw a picture of what they imagine Jesus being with them looks like. -Count the days since Easter. Today is day 13. Talk about what it was like to know Jesus was alive again. How would you feel? 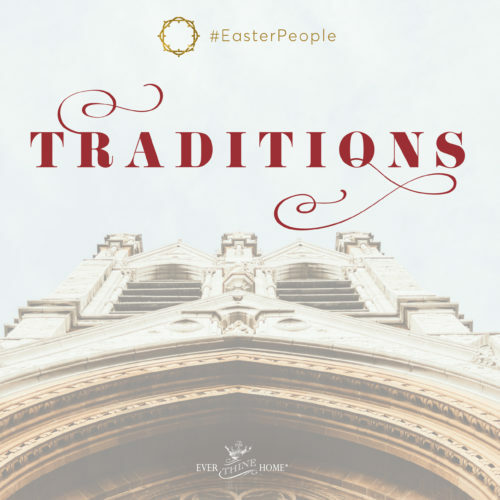 -Plan to read the story of His ascension on day 40, May 26, and watch for fun ideas on our blog for how to mark this important day.